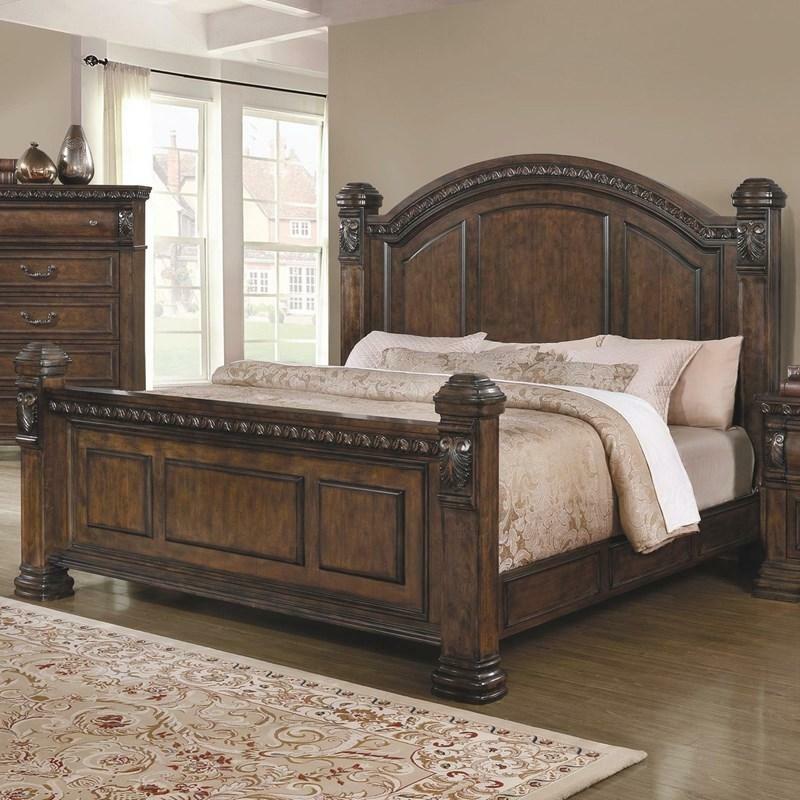 This stately traditional style Satterfield Poster Bed will make a grand impression in your bedroom. It comes in a warm bourbon finish over Asian hardwood and select woods. 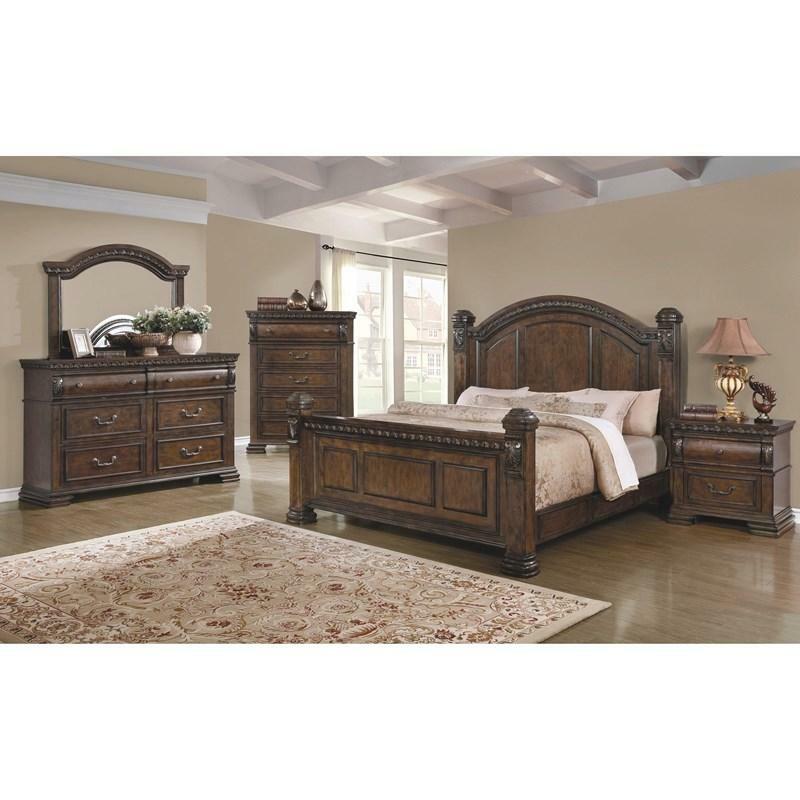 It features a curved top headboard with side posters with finials and acanthus leaf details. 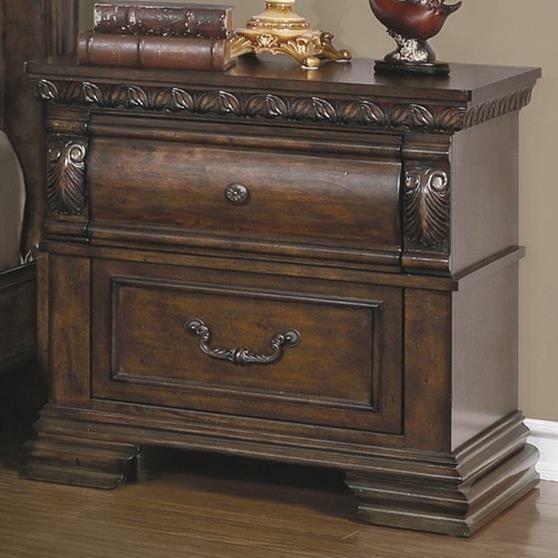 The footboard also has side posters with finials, Acanthus leaf, and paneling details. It is finished with lovely decorative moldings. Volume 25.8 cu. ft. / 0.73 cu. 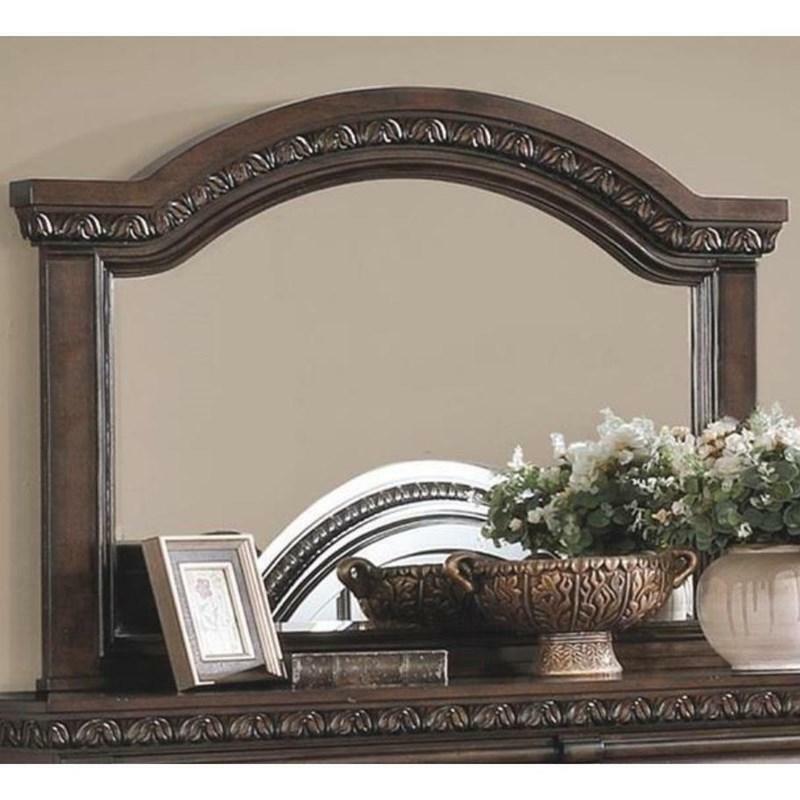 m.
This gorgeous Satterfield Dresser Mirror offers an updated old English traditional style and is made of Acacia hardwood and select woods with a warm bourbon finish. 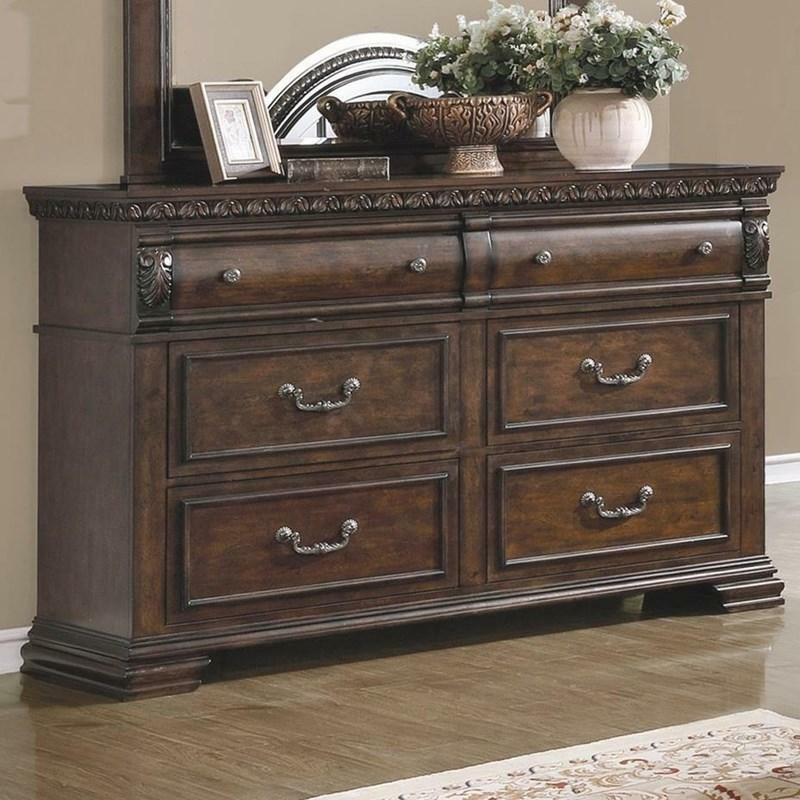 It features an arched design top with decorative moldings.